We are always looking for beautiful, unusual and unique items. 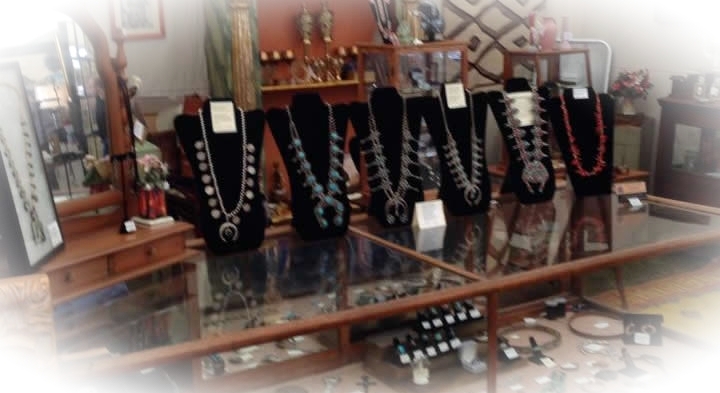 We currently have a large selection of Indian baskets (California Mission, Makah, Apache, Northwest Coast, Washo and many others), Indian pottery (San Ildefonso, Santa Clara, Acoma), Indian jewelry (squash blossom necklaces, Zuni petite point, Navajo bracelets and belts and gorgeous turquoise jewelry). 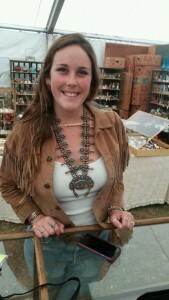 Additionally, we have vintage beadwork, Indian rugs and Native American textiles. Our inventory moves quickly so please check back with our site on a regular basis or sign our e-mail list. We believe in pesonal and excellent customer service and try to accommodate to the best of our ability.